Omelette is a breakfast classic. So quick and easy to make. Mushrooms are a great Omelette filling and can be easily upgraded with other things, such as cheese or onion. This Mushrooms Omelette is Paleo and Low-carb breakfast options. Peel the mushrooms and cut them into thin slices. Or you can wash them. Be sure to scrub the mushrooms with a soft-bristled brush to remove any dirt. Heat 1 teaspoon of olive oil in a medium-sized frying pan over medium heat. Save the rest of the oil for the frying the egg whites. Add the mushrooms, some salt, and some pepper. How much salt you use is up to your personal tastes. Fry the mushrooms until they turn soft and brown about 4 minutes. Stir from time to time using a spatula, so they don’t burn. Remove the mushrooms from the pan, and set them aside. Place them on a plate. Cover them with a lid, plate, or a piece of foil to keep them warm. Heat the rest of the oil in the frying pan over medium-high heat. Once you have the egg whites on the pain, continue tilting the pan around until the entire bottom is evenly covered with the egg mixture. 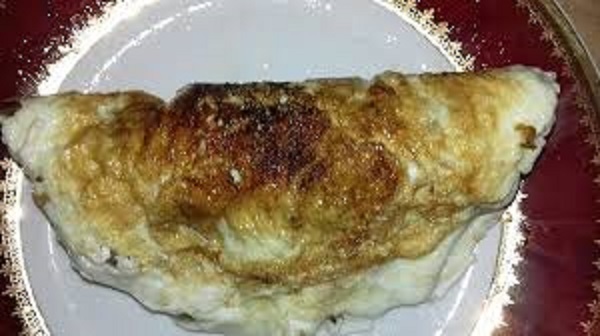 Let the omelet cook for about 1 minutes. Add the mushroom mixture when the omelet still has some raw egg on top. Only cover half of the omelet with the mushroom mixture; you will be folding the omelet in half. Fold the omelet in half. Use your spatula to gently separate the edges of the omelet from the frying pan. Then, slip the spatula under the bare side of the omelet, and flip it over onto the mushroom side. Slide the omelet onto a plate and serve it immediately.